Redstone’s Shayna Asgill Awarded 2019 Marriott Hotels “Rising Star” Scholarship - Redstone Agency Inc. 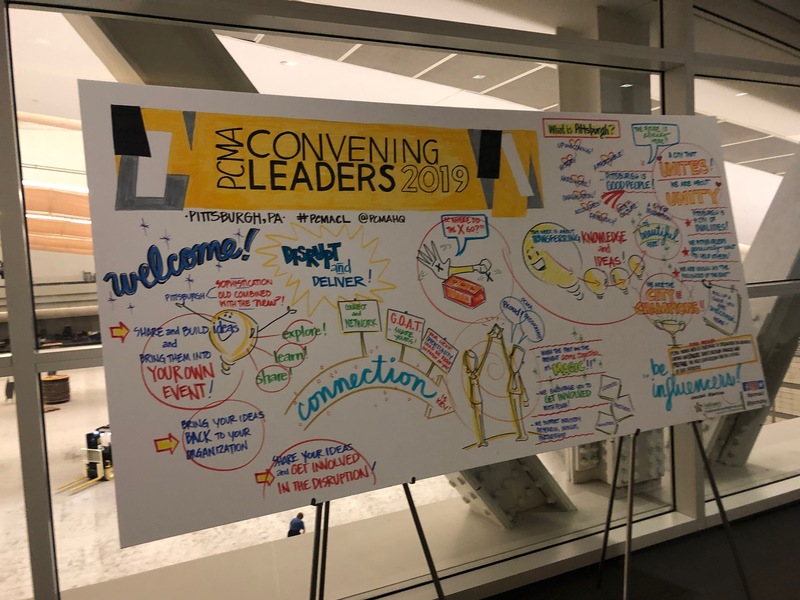 Earlier this year, our very own Shayna Asgill travelled to Pittsburg, Pennsylvania to attend PCMA’s Convening Leaders Conference as the recipient of the 2019 Marriott Hotels “Rising Star” Scholarship. A scholarship that’s awarded each year to an up-and-coming event professional. 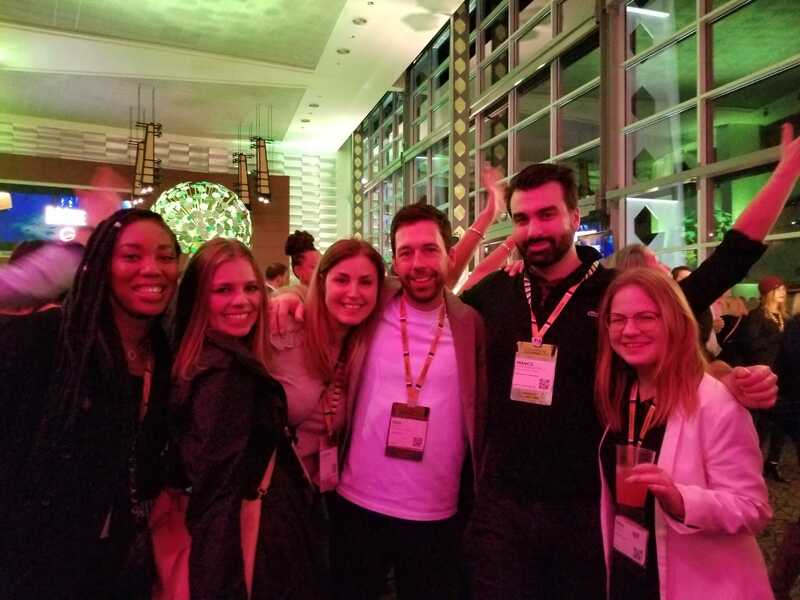 In this post, we chat with Shayna to learn about her experience at the conference, what she learned, and her key takeaways! How did you hear about this conference and what did it mean for you to win? As I am still relatively new to the industry, I had not heard about PCMA until Redstone’s CEO, Carly encouraged me to apply. 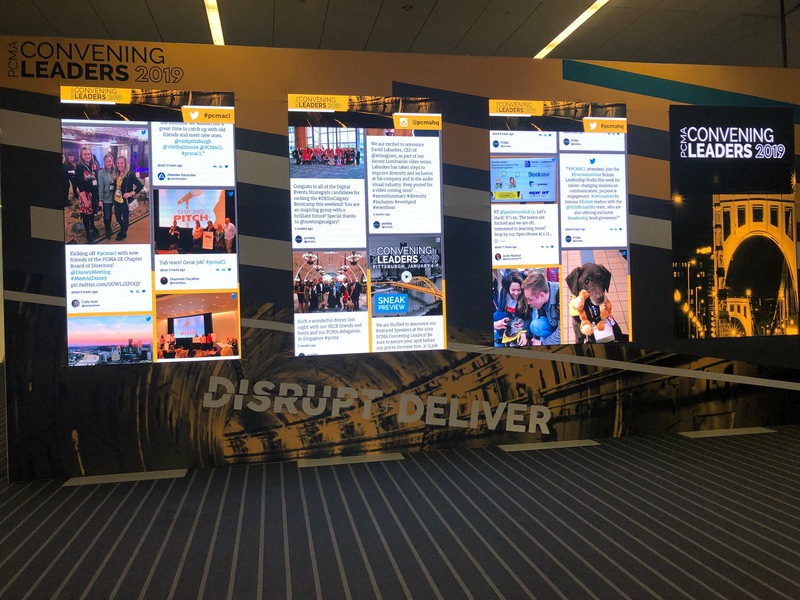 Through education, PCMA inspires, connects and innovates meetings with the event community globally and I knew I wanted to be awarded the opportunity to immerse myself in that experience. I was very honoured to be the 2019 recipient and had the chance to attend the conference in Pittsburgh. From great content, to amazing keynote speakers and engaging activations, this conference was an amazing way to ring in the New Year! What were some of the cool things that you got to take part in? 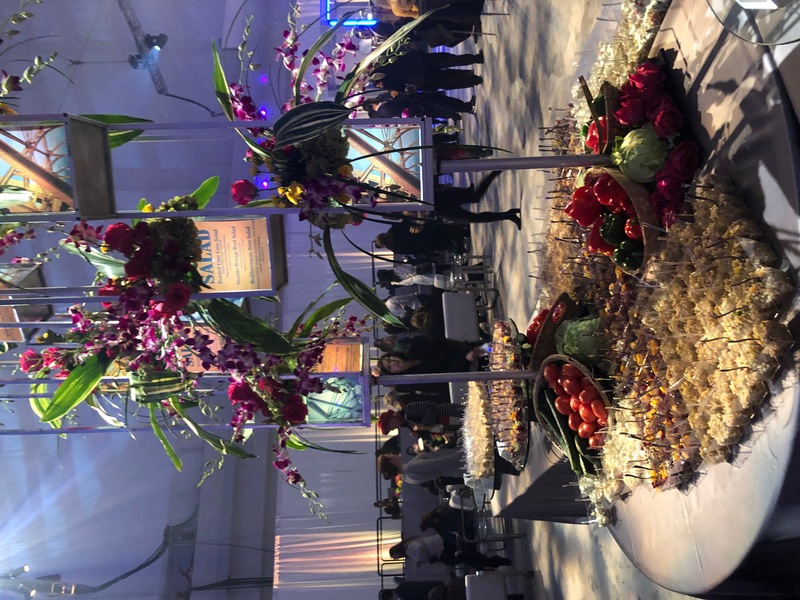 The list is endless, from magicians, to BMX riders, live jazz, virtual reality, a party in a football stadium with fireworks and the most amazing food stations – there was something for everybody at PCMA Convening Leaders. It was also amazing how the whole city came together and was engaged in the event and showing off the city of Pittsburgh. Upon arrival at the airport, there was a welcome drink, branded teddy bears and PCMA signage and stickers were plastered around the city and it truly made me feel like I was going to be a part of an unforgettable experience. Tell me about your favorite speaker at PCMA Convening Leaders. Wow. Where do I start? 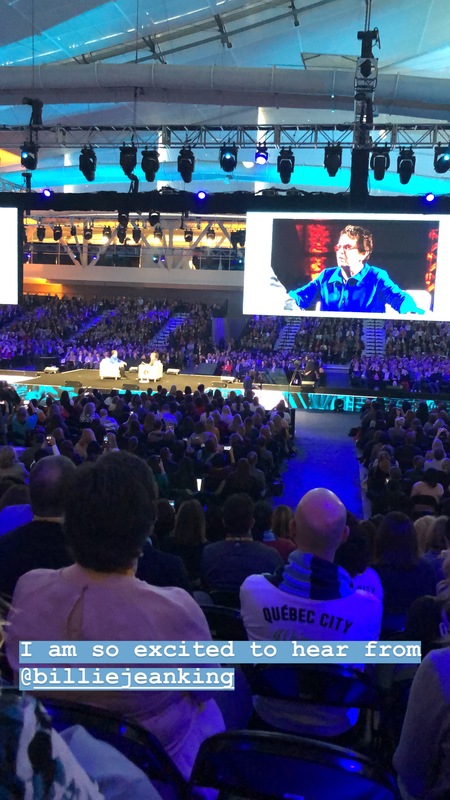 There were amazing speakers at this conference, from the marketing guru Seth Godin, to the inspiring Billie Jean King and Geena Davis – PCMA delivered marquee names and deep learning. Among all of the big names, my favourite speaker was Nadya Okamoto from PERIOD. Nadya shared her story with 4,000 attendees and I think we can now all proudly say that we are a part of the menstrual movement! Okamoto launched her own non-profit at just 16 years old to address the gender inequity surrounding the issue of menstruation and access to feminine hygiene products and her company has served thousands of women. What are some key takeaways from the sessions you attended? Seth Godin’s keynote offered a lot of insight into marketing and there was a lot of great content that I shared on Twitter, so I will reference some of my tweets that serve as a recap of the knowledge that he shared with us. Cat food isn’t marketed to cats, if it were; it would be sold in mouse flavor. It’s about the story that you tell and the way it makes you feel. We don’t sell breakout sessions, we don’t sell the program, we don’t sell the venue – we sell the way it makes us feel to be in this room. Social media is a symptom, not a tactic! Mona Lisa doesn’t have an Instagram account and she is still showing up everywhere. Push content that people want to see! Managers teach us to do the same thing everyday; leaders push us to explore the unknown. Change has an ugly brother and his name is tension. Are you going to let that stop you? Build a culture on purpose. What will you apply to your own career going forward? 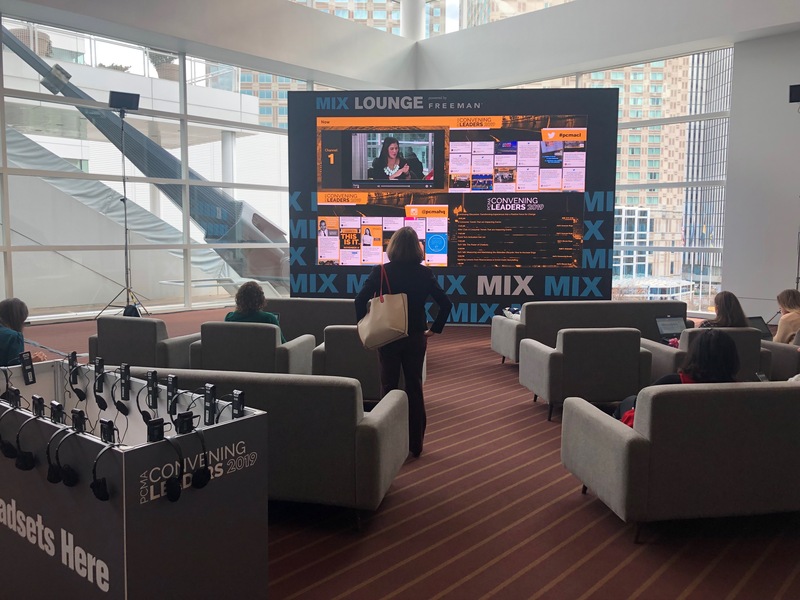 Before heading to PCMA, I did some research and read that this is THE conference to gain insights on developing winning business strategies through unique learning experiences and where casual connections become true bonds. I can now say that this statement is true. 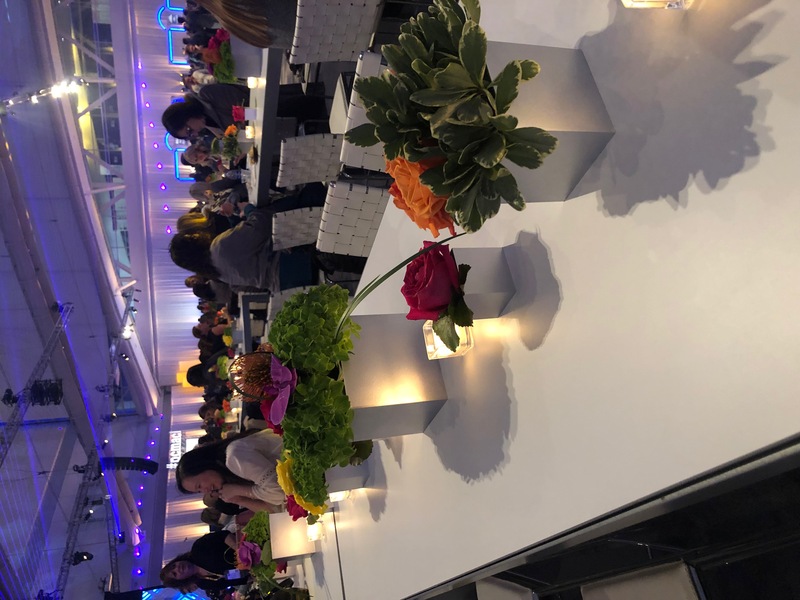 Attending this conference was a huge step in the right direction as I want to further my career in the meeting and event industry and share the knowledge with my team so that we can deliver exceptional results to our clients. I was also able to meet great people in the industry (I attended alone so I had to make some friends) and I truly believe that the connections that I made will last throughout my career. If you could offer advice to another young professional applying for an award or attending an event like this, what would it be? My pro tip for applying for an award is to make sure that you are differentiating yourself from other candidates. I did this by creating an infographic for my application that linked to a video (see here) explaining why I wanted to be the recipient of the award, which gave it a personal touch. In terms of attending the event itself, I know it sounds cliché, but networking is essential to your career as a young professional. I would consider myself an introvert, so even though I was ecstatic to attend the conference, it later dawned on me that I was attending a 4,000+ person conference, solo. Even though I didn’t know anyone at the conference, I made it a point to make conversations with people I ended up sitting beside in sessions, at lunches or at the social events and I made great connections! To experience a little bit of the conference for yourself, tune in to the rebroadcast that will be taking place on January 30th. Shayna is a Senior Account & Event Coordinator with Redstone Agency who has a passion for creating experiences and bringing visions to life. She has developed her planning expertise while working on a variety of events ranging from conferences, festivals, workshops and fundraisers and always brings her A-game. From inception to execution – Shayna ensures that no detail gets left behind.